CCG3 is your one stop shop for all your development’s telecommunication requirements. We are the first NBN trained and accredited provider and installers of telecommunications for residential and commercial developments. Through assisting in the design of and piloting the accreditation program with NBN, we are certified in Pathway design, Pit and Pipe design and Pit and Pipe Installation for multiple carriers. We cater for all developments from small residential projects and multi dwelling units, to broadacre estates and commercial developments. It doesn’t matter if you need to connect one unit in the back garden or a multistorey apartment building, we’re here to guide you through the process and ensure that all telecommunication needs are managed and delivered on time and on budget. CCG3 takes total control of the telecommunications and NBN installation process so that you don’t have to. Our process will cover the full lifecycle of the development including from project management, design and compliance to construction, installation and connection. With 20 years’ experience in the telecommunications industry and complex knowledge of council regulations and compliance, what sets us apart is our ability to solve complex issues before they arise and stop delays from occurring. 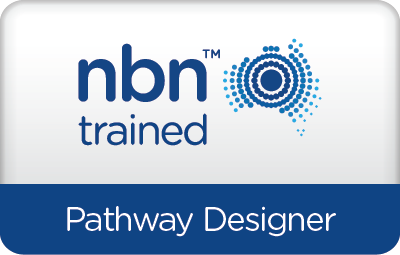 The NBN Pathway Designer accreditation qualifies CCG3 to provide your development with NBN approved pathway designs that meet compliance requirements. CCG3 is fully accredited for NBN approved Pit and Pipe design, qualifying us to provide your development with best practice, cost effective designs that meet compliance requirements. 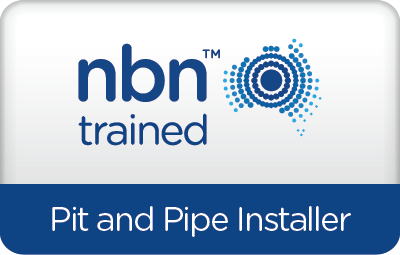 We are fully accredited as a pit and pipe installer for NBN and other carrier networks. With over 30 years experience in the industry and working closely with councils and industry partners. We understand the process intimately and are proactive in controlling the process rather than reactive. With strong relationships with NBN and Telstra coupled with a deep understanding of council requirements. we understand how delays can be costly and will keep you updated every step of the way with your own portal to monitor the steps and the progress of your development.